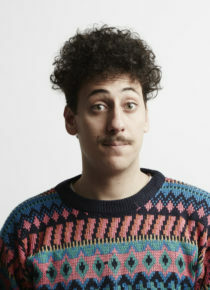 Schalk is one of the most exciting voices in South African comedy, bringing his unique contemporary Afrikaans perspective to the global comedy stage. With a host of accolades include winner of the Savanna Newcomer Award at the Comics Choice Awards 2013, nominee for Breakthrough Act at the Comics Choice Awards 2014 and winner of the Intermediate Award at the Comics Choice Awards 2015. Schalk also has a number of high profile live appearances to his name, opening for Trevor Noah in 2015 and 2017, and recording his own stand up special for Comedy Central. Schalk’s international career has seen him sell out a run of his one man show South African White Boy at London’s Leicester Square Theatre and at the Soho Theatre. He has also performed on the Trending Comics Gala at Montreux Comedy Festival in Switzerland and Dubai. As well as being a top stand-up performer he can be seen playing the lead role in ‘Kanarie’ a major feature length film which premiered in October 2018. Schalk took his show Leopard Print for a short run to the Edinburgh Fringe 2018 and will be returning back this year debuting his brand new show South African White Boy.